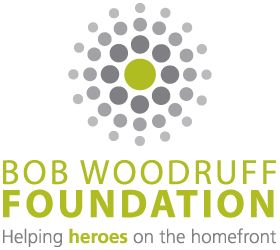 The Bob Woodruff Foundation (BWF), in partnership with the Institute for Veterans and Military Families (IVMF), has announced it will convene a group of national leaders to investigate underlying barriers to employment among post-9/11 veterans and share leading practices. The meeting comes on the heels of the recent Bureau of Labor Statistics report that placed unemployment for post-9/11 veterans at 9.2 percent, but revealed a rate more than three times that figure, 35 percent, among post-9/11 vets ages 20-24. At the two-day forum, April 23-24 at the Pew Center in Washington, D.C., public and private sector experts will gather to discuss current assumptions and obstacles to employment for veterans, and present leading practice policies and programs having an impact on service members and veterans with disabilities transitioning to civilian employment. Attendees include the U.S. Chamber of Commerce; departments of Defense, Labor and Veterans Affairs; nonprofit leaders, such as the National Organization on Disability (NOD); and corporate executives from GE, IVMF founding partner JPMorgan Chase & Co., and Accenture, among others. “Whether green jobs or disaster relief, the Bob Woodruff Foundation is partnering with local organizations to help post-9/11 veterans chart new careers in the civilian economy,” says Anne Marie Dougherty, executive director of the Bob Woodruff Foundation. The employment picture for veterans, especially those with physical or hidden injuries, is murky, with complexities ranging from physical accommodations to the impact of post-traumatic stress disorder (PTSD) on post-combat careers. About 25 percent of recent veterans report having a service-connected disability, compared to 13 percent of all veterans; common injuries include burns, missing limbs, and hearing loss, in addition to traumatic brain injury (TBI) and PTSD. Haynie concurs, citing the IVMF’s “The Business Case for Hiring a Veteran: Beyond the Clichés,” a report supported by academic research that outlines a robust, specific and compelling business case for hiring individuals with military background and experience. “Companies who hire veterans can realize not only enhanced performance, but organizational advantage,” he says. The IVMF’s employment programs for veterans focus on two goals: first, moving veterans with disabilities into the labor market, and second, from underemployed to fully employed. Those convening next week’s meeting believe industry must play a part. Haynie characterized the upcoming employment convening as a step in the right direction, and an example of collaboration for the common good—where private sector competitors share internal processes, programs and lessons learned that would not ordinarily be revealed as common business practice. Corporate participant GE concurs. “We’re honored to have more than 10,000 U.S. military veterans continue their careers with our company. But, in order to drive meaningful impact, greater private/public collaboration is needed,” says Kris Urbauer, program manager of GE Veterans Initiatives. BWF created its “High Impact Collaboration Series” to address the deeply entrenched issues that can prevent veterans from thriving long term. The first meeting was held last year, in partnership with the VA, on adaptive sports and therapeutic recreation. “These key stakeholder meetings are designed to promote immediate and actionable strategic partnering among the government, military, nonprofit and corporate participants who come together to drive change,” Dougherty says. To inquire about attendance at the April 23-24 forum hosted by the BWF and IVMF in D.C., contact Ashley Bunce at ashley.bunce@remind.org.